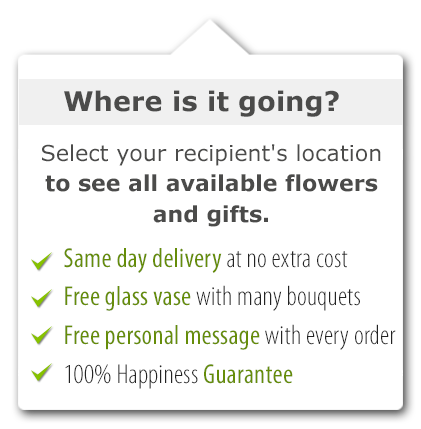 ﻿ Send flowers to Colombia the same day you order them using our extensive network of florists. Browse our collection of beautiful flowers and bouquets for every occasion. When you order flowers to Colombia with daFlores, you can be assured that the freshest blooms will be delivered. 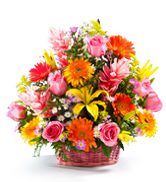 Send flowers to Colombia the same day using our extensive network of florists in Colombia. When you order flowers to Colombia with daFlores, you can be assured that the freshest blooms will get delivered. Sending flowers to Colombia has never been easier or fresher… so go ahead and send flowers to Colombia today! Colombia touches both the Pacific and the Atlantic, and in between has a wealth of beautiful flowers. The flowers in Colombia are something else, and we take full advantage of that with our Colombia flower delivery service. daFlores networks with a variety of Colombia flower delivery shops to bring you the freshest and most beautiful blossoms. We check out each florist and make sure they've been in business for at least ten years. Then we see if they bring in fresh flowers every day. If they don't, we won't work with them: there's no recycling at daFlores! Only then will we allow a partner to arrange to send flowers to Colombia on your behalf. Whether you live in Colombia or want to send flowers to Colombia from overseas, our international flower delivery service has you covered with our commitment to quality. 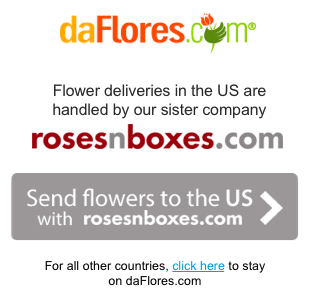 Much like our process of sending flowers to Mexico, just pick the country from the list on daFlores.com. Your available choices come up, and then you select a bouquet and fill out the details. You can also send gifts to Colombia for every occasion! Browse flower arrangements that also include chocolates, wine, and teddy bears. Sending gifts and flowers to Colombia with daFlores is easy and in no time at all, your Colombia flower delivery will be on its merry way. Under most circumstances, you can arrange a same-day flower delivery to Colombia. Just order by noon Colombia time on the day you want delivery. We'll take care of the rest. Some restrictions apply, so don't hesitate to call and ask about flowers in Colombia. Family-owned daFlores has been in business since 2000 and we know our flowers in Colombia inside-out. With Mother's’ Day in Colombia right around the corner, we can help you send gifts to Colombia for your loved ones. We work with some amazing florists in Colombia, but this holiday is always a busy time, so you need to get your orders in quick. Show your loved ones that you are thinking about them this year with beautiful arrangement of fresh flowers. Same Day Flower Delivery to all cities in Colombia. Para ver esta página en Español, favor visitar nuestra página de Enviar Flores a Colombia.